With less than two weeks to go until the official launch of the highly anticipated Diablo III game on May 15th, Blizzard has released a detailed look at the final class in the game to be detailed, The Wizard. The Wizard is a master of the arcane arts, who uses forces beyond mortal men to force their foes into submission. With a powerful combination of offensive and defensive powers, the Wizard is a force to be reckoned with. 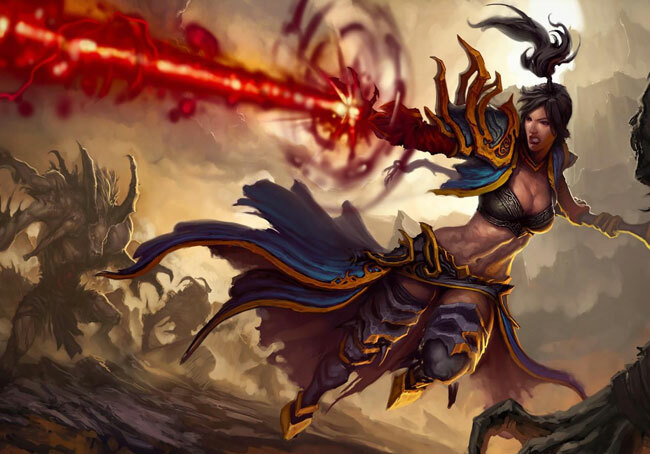 Watch the video after the jump to see the Diablo III Wizard in action. Diablo III has been in development for over 10 years by Blizzard and on the night of May 14th Blizzard has announced that key retail partners in the U.S., UK, France, Germany, Sweden, Poland, South Korea, Thailand, Singapore, and the region of Taiwan. Will open their doors at midnight to allow Diablo III fans to be the first to purchase the new game.